"Recently, Neil Young completed a brief tour of his native Canada consisting of four benefit concerts under the banner of 'Honor The Treaties.' The nature of these shows were assembled to raise money and awareness for the Athabasca Chipewyan First Nation (ACFN) Legal Defense Fund. The ACFN refer to themselves as K'ai Taile Dene, meaning 'people of the land of the willow.' A Legal Defense fund was set up to support the ACFN's legal challenges against oil companies and government that are obstructing their traditional lands and rights. As people of the land the ACFN have used and occupied their traditional lands in the Athabasca region for thousands of years, hunting, trapping, fishing and gathering to sustain themselves and continue spiritual cultural rights passed down through generations. The ACFN's legal challenges will ensure the protection of their traditional lands, eco-systems and unique rights guaranteed by Treaty 8, the last and largest of the nineteenth century land agreements made between First Nations and the government of Canada, are upheld for the benefit of future generations." 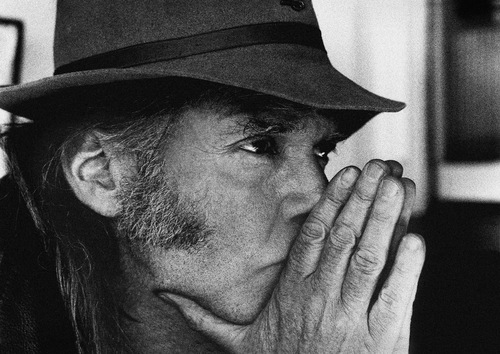 Neil Young's "Mother Earth" is a song from his Ragged Glory album, and presented here is a solo acoustic version with some new lyrics from his January 19 performance at Jack Singer Hall in Calgary, Alberta, the last of his four Canadian benefits shows. The video also features footage from the Peter Mettler documentary Petropolis.